A great range of hiking equipment, footwear, and accessories. Waterproof hiking boot Gaiters, over the shoe and legs. For running, snow, walking and hiking. Great brands Berghaus, Mountain Equipment, Asolo, Karrimor, Mammut. Cheap Prices and UK delivery, great gear for hill walking, mountaineering, hiking, trekking and other outdoor activities. A classic lightweight and tough Gore-Tex mountain gaiter for mountain walking, alpine climbing, ice climbing and ski-mountaineering. Technical , lightweight, waterproof gaiter for hiking. Low profile and waterproof-breathable gaiters - ideal for ice climbs and mountaineering. Lightweight and waterproof gaiters from Outdoor Research. Extremely hard wearing, weatherproof gaiter made from abrasion and rot-resistant fibres. Built for the harshest of conditions from deep snow to bogs, a 4-season gaiter to keep you warm, dry and protected every step of the way. All-season, water-resistant and durable high gaiters from Outdoor Research. A super durable wet weather GORE-TEX® gaiter from Berghaus. 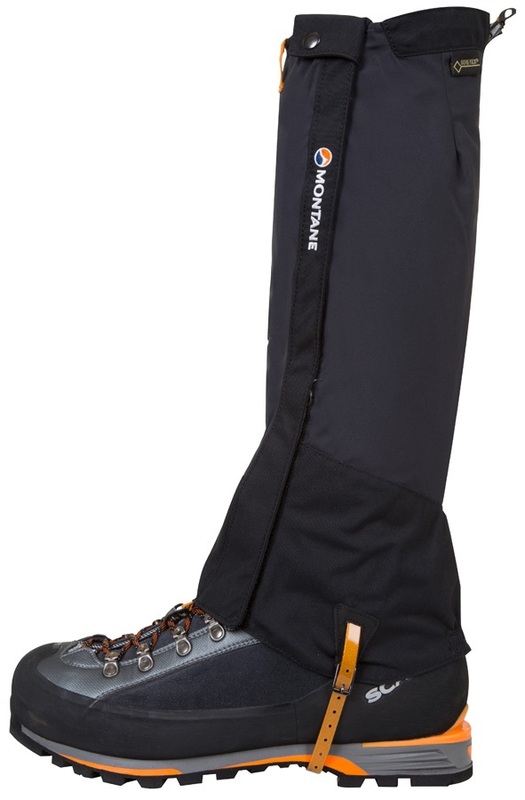 Lightweight and waterproof gaiters - ideal for ski touring, mountaineering and alpine trekking. Built for the harshest of conditions from deep snow to boggy ground, a 4-season gaiter to keep you dry and protected every step of the way. Water-repellent Gaiter for hikes, glacier tours and alpine expeditions. Water-resistant and lightweight trail gaiters: perfect for scree-filled alpine environments. Adventure gaiters designed to keep mud, sand, seeds and stones out. Lightweight and waterproof women’s gaiters from Outdoor Research. 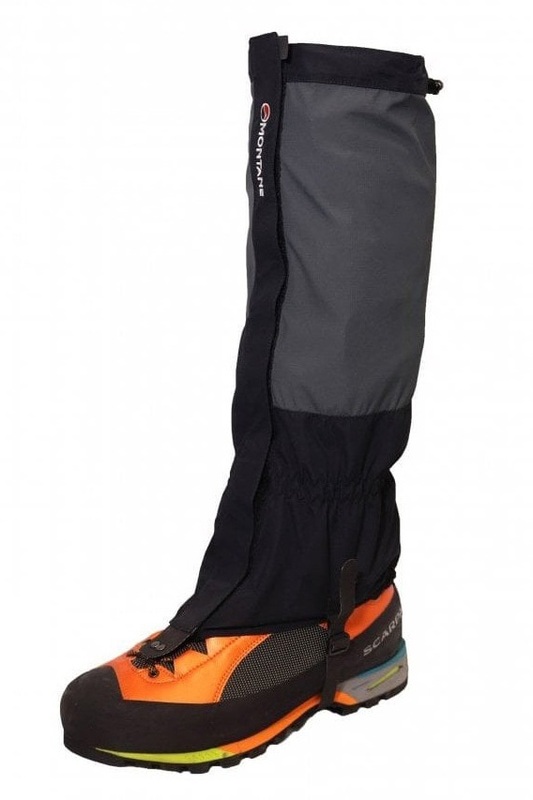 Lightweight and breathable gaiters ideal for ski touring, mountaineering and trekking. Lightweight and waterproof mid-height gaiters - ideal for multi-purpose activities from hiking and backpacking to mountaineering and alpine trekking. The Yeti Extrem Pro III Gaiter is ideal for harsh conditions from deep snow to bogs, keeping you dry and protected every step of the way. 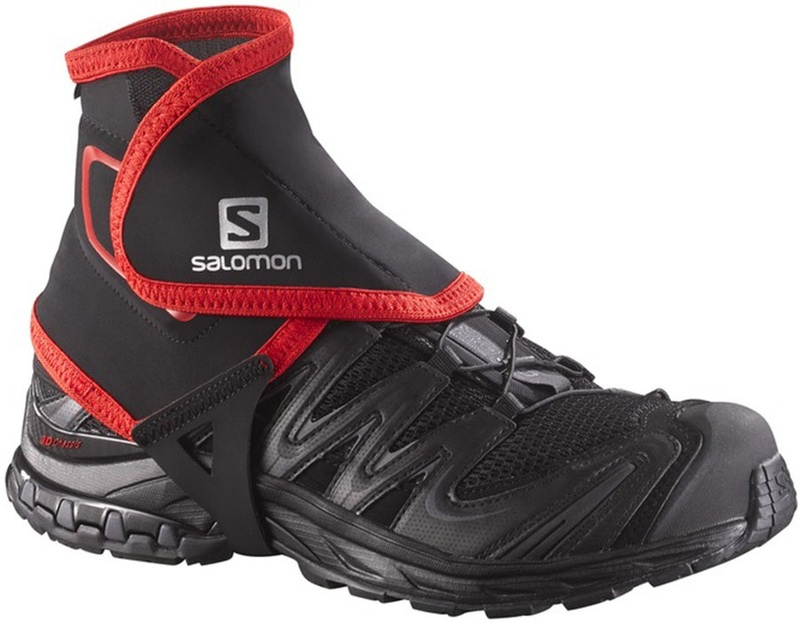 The Endurance Gaiter was built for fast-packing and Alpine-style ascents! Lightweight and waterproof boot-top gaiters - ideal for multi-purpose activities from hiking to trail-running. Durable and breathable Gore-Tex® gaiters from Outdoor Research.